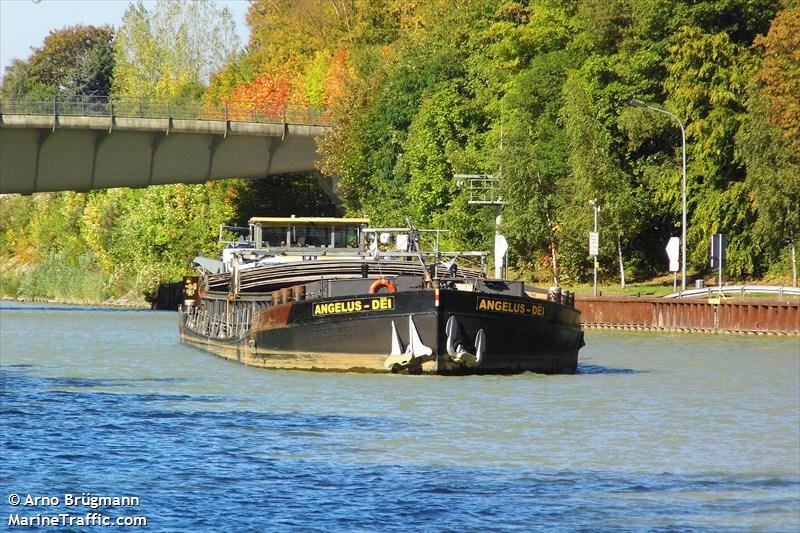 The 80 meter long self-propelled barge Angelus Dei became disabled on the Hunte near Oldenburg, Germany. The Angelus Dei had problems its rudder gear when a fire broke out in the engine room. The motor on the emergency rudder had caught fire from oil that escaped from the engine. The crew were able to extinguished the fire. The vessel returned to Oldenburg. No reports of injuries. The vessel’s bilge was polluted with an oil-water mixture. The water police detained the vessel until the pollution was removed. The 18 meter long fishing vessel Guide Us – FR 4 became disabled while off Durinish Point, Scotland. The Guide Us had it’s propeller snagged in the vessel’s nets and disabled the engine. The fishing vessel drifted toward the rocks and requested assistance. Two nearby fishing vessels responded to the mayday call and took the Guide Us under tow. 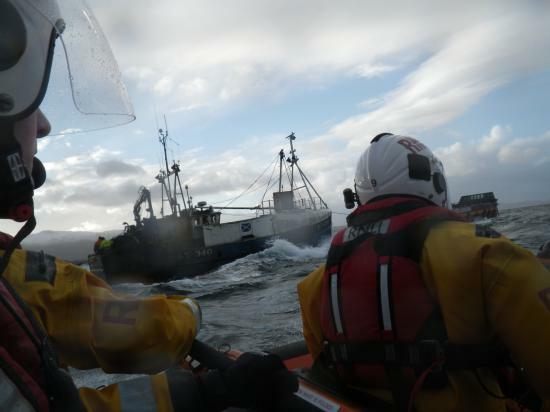 The Kyle of Lochalsh RNLI lifeboat arrived on scene and assisted keeping the Guide Us from going ashore. The RNLI lifeboat from Portree arrived a short time later and took over the tow. The two lifeboats with the Guide Us under tow proceeded to Kyleakin Harbour. No reports of injuries, damage or pollution released. 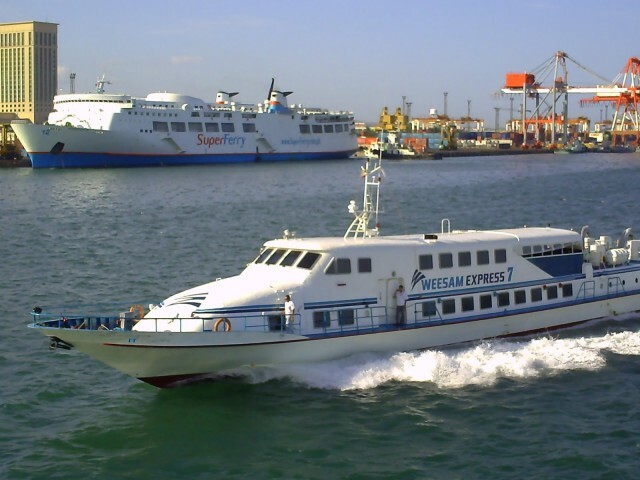 The passenger ferry Weesam Express 7 went aground off Lauis Ledge, Philippines. The ferry departed from Ormoc with 160 passengers bound for Cebu when it encountered bad weather causing the vessel to go aground. The Philippine Coast Guard responded along with the ferry Weesam Express 8. The Coast Guard was able to safely evacuated the passenger and crew to the Express 8 which arrived at Cebu. No reports of injuries.